Jack Tyler-Stott is a barrister from Elizabeth Street Chambers we regularly brief in criminal trials, and more complex hearings and applications in various courts and tribunals. Before being called to the Bar, Jack was a police prosecutor for seven years. Over this time, he was in court on a daily basis, often running matters at short notice. He reached the rank of Senior Sergeant and was in charge of the seven prosecutors’ offices in the Sydney Metropolitan area comprising over 40 prosecutors. Prior to becoming a police prosecutor, he was an officer at Redfern Local Area Command. 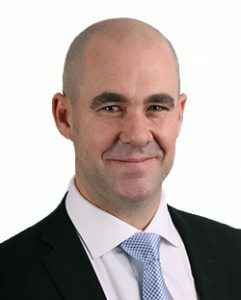 Jack has an extensive knowledge of the inner workings of the NSW Police Force, criminal procedure and evidence. It is with knowledge and experience that he works with Sydney Criminal Lawyers® to achieve the best possible outcomes for our clients. This was my first experience with the law, and I was terrified. I didn't know what to do with myself, how to act or what to think. I've traveled the world, and want to do more, and I want to continue getting good jobs, but I feared that this would be the end of that. I was among the many who went and saw many different lawyers who all told me that "a section 10 is impossible for this charge". There was 10 charges of Embezzlement. Coming into Sydney Criminal Lawyers® was an experience I will never forget. Met with Steven Patrick, a senior lawyer at the firm who was open, honest and down to earth in relation to the case. He conducted a lot of research before giving us our first advice. Steven for the next 7 months was essentially my best friend. The service that he provided during this traumatic time was exceptional. He enlisted the assistance of barrister, Jack Tyler-Stott who further assited with the matter as we approached our court date. The impossible happened on this day, and I was given a section 10. What was said would be impossible, became possible because of the exceptional work done by Steven and Jack. There is no amount of thank yous that I can give that exactly shows how thankful I am for these amazing gentlemen. If you ever find yourself making a mistake (like we all do at some point in our lives) I highly recommend Steven who to me, has saved my life. I owe them my life!! I was charged with Embezzlement. 10 counts over the space of 4 days. After neglecting previous representation. I went to Sydney Criminal Lawyers®. 7 months I was represented by Steven Patrick and Jack Tyler Stott. The pair were absolutely fantastic. The professionalism and execution of their work and tireless efforts to get me the best outcome was second to none. Having such representation lowered my anxiety and allowed me to get on with my daily tasks. Their empathy and trust in me is something of a rarity. I walked into the local court with the "A Team". I walked out with a SECTION 10 BOND. I think that result speaks for itself. Something rarely ever seen for an embezzlement guilty plea. I couldn't be happier! If your in doubt give this firm a buzz, there are many law firms around, but Sydney Criminal Lawyers® had the X factor. I owe them my life! !